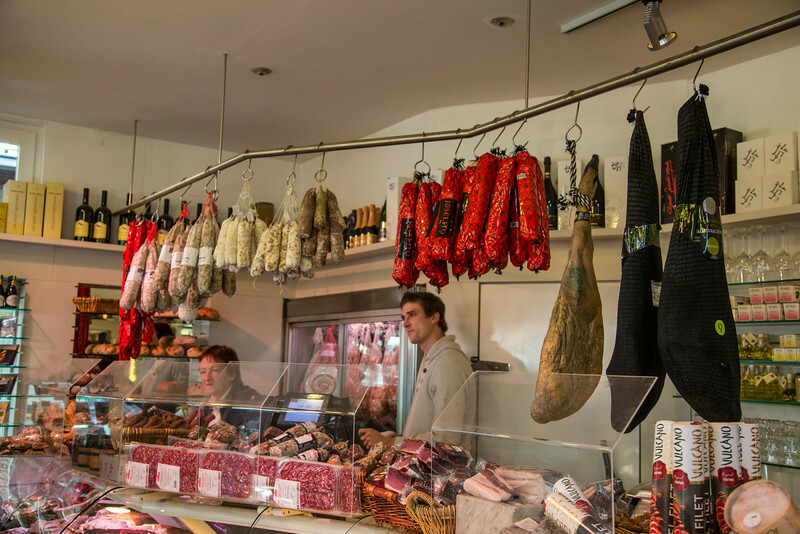 This meat and sausage market was located in the Naschmarkt, one of Vienna's best known outdoor markets. 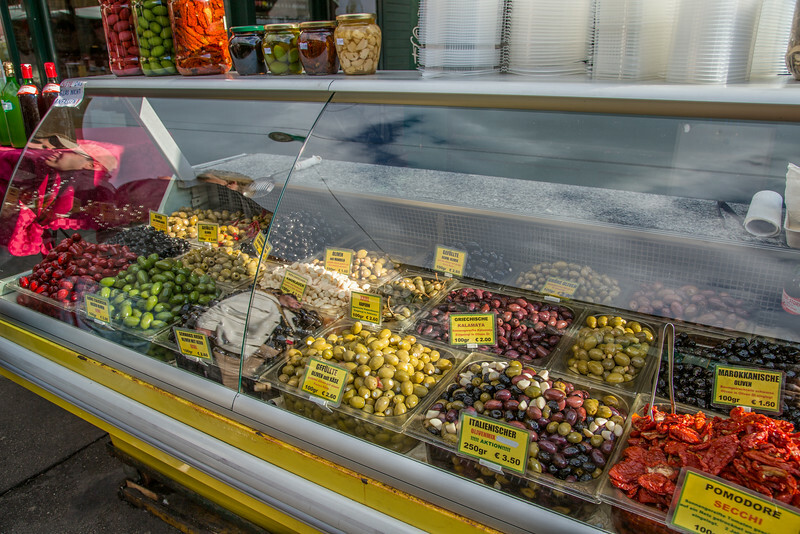 This olive bar was located in the Naschmarkt, one of Vienna's best known outdoor markets. 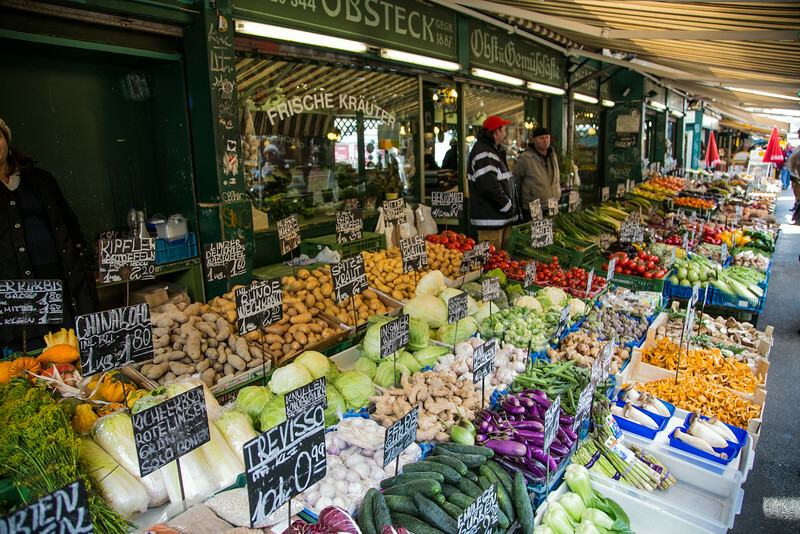 One of the many stalls at the Naschmarkt, one of Vienna's best known outdoor markets. 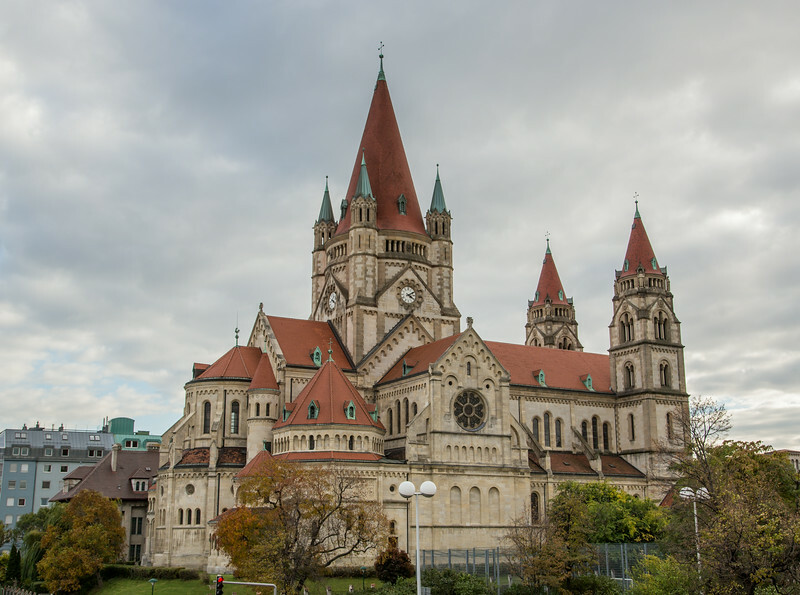 Designed by architect Victor Luntz, the church, also known as the Kaiserjubiläumskirche, was consecrated in 1913, in honor of the 50-year anniversary of the reign of Emperor Franz Joseph I. 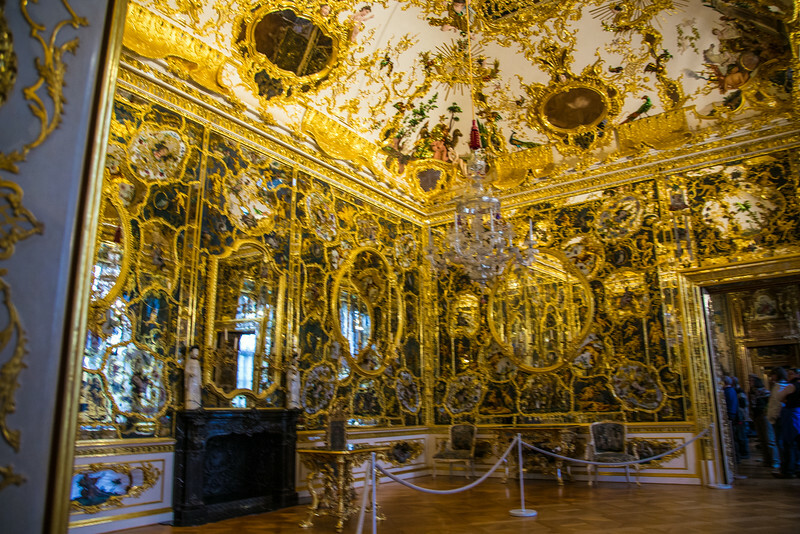 For some reason, photography was not allowed inside the palace-like Würzburg Residenz, but I snuck this photo of one of the most ostentatious rooms. This explains why the peasants sometimes revolt against royalty. 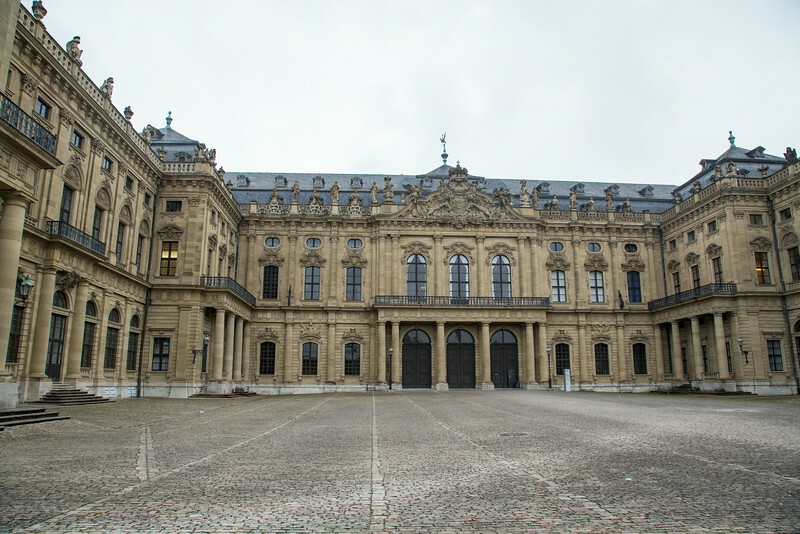 Exterior of the Würzburg Residenz (aka palace). Photography is prohibited inside. 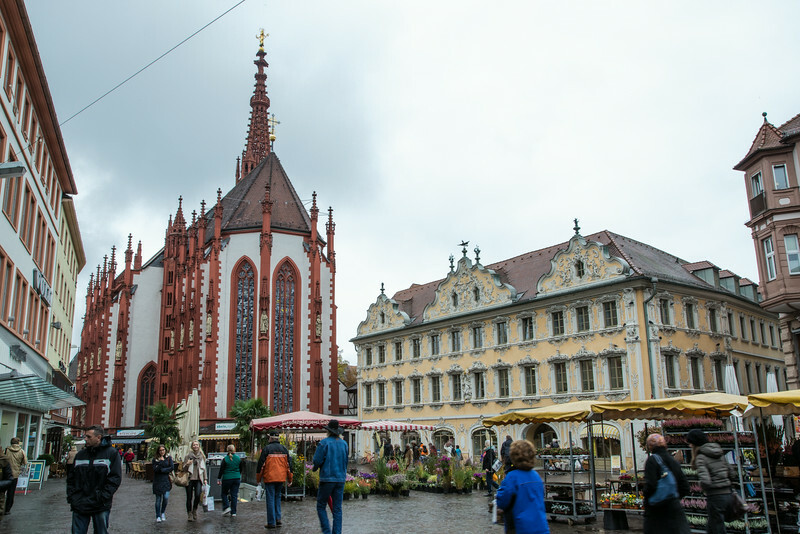 The gothic Marienkirche (Church of St. Mary) in the center of Würzburg dates back to around 1400 AD. It is also known as Marienkapelle. 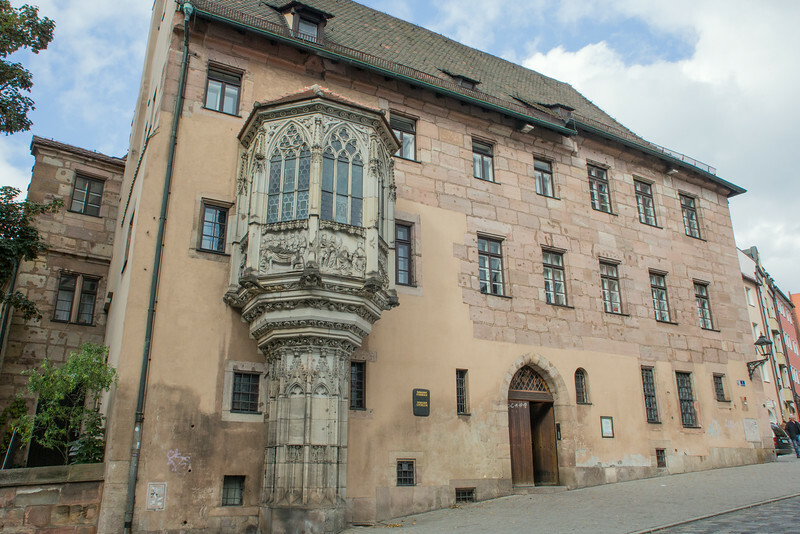 The church contains the tomb of the baroque architect Balthasar Neumann, who built the Würzburg Residenz. 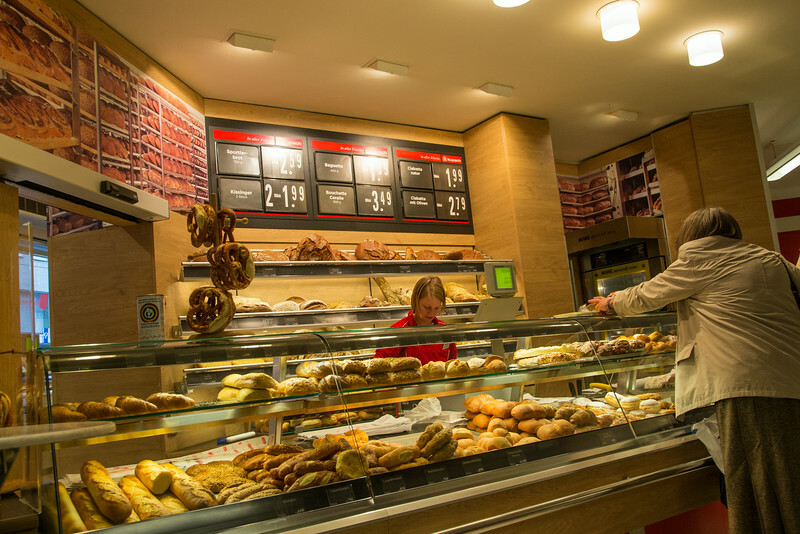 You can't beat the baked goods in Germany. 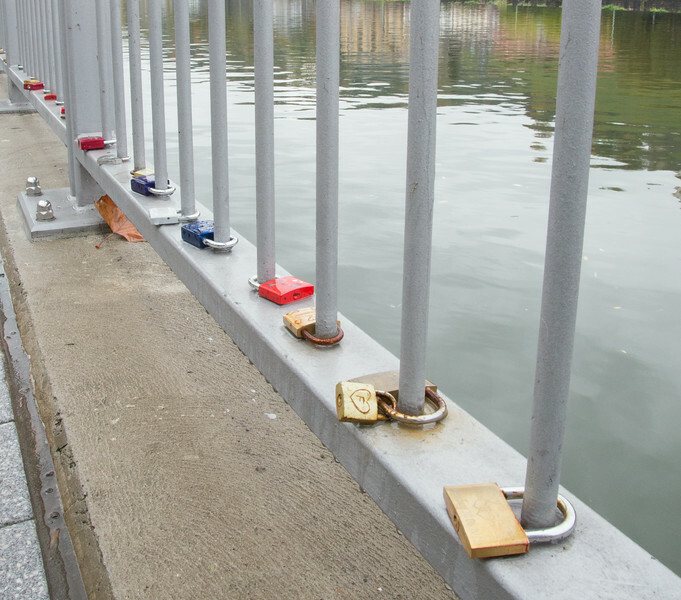 These padlocks, attached to a railing at Würzburg's walkway along the Main River, symbolize the unbroken love of the people who attached them. 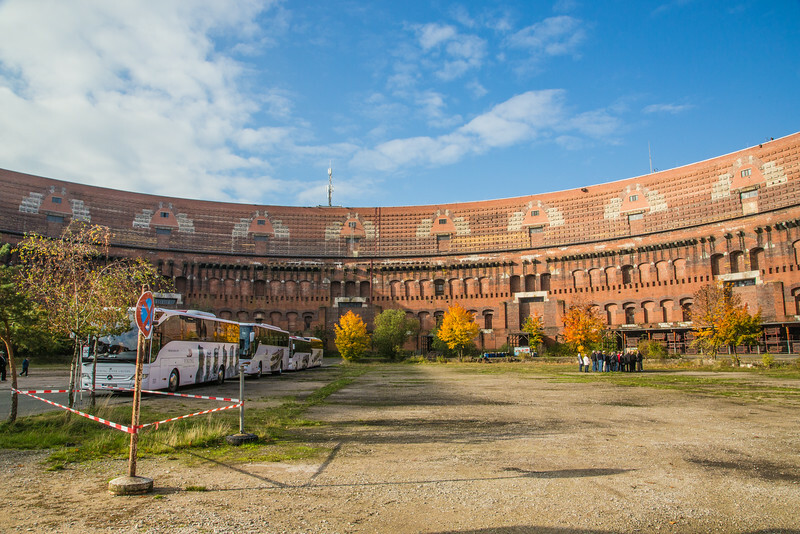 The interior of a massive stadium in Nuremberg built to hold political rallies by the Nazis but never completed. 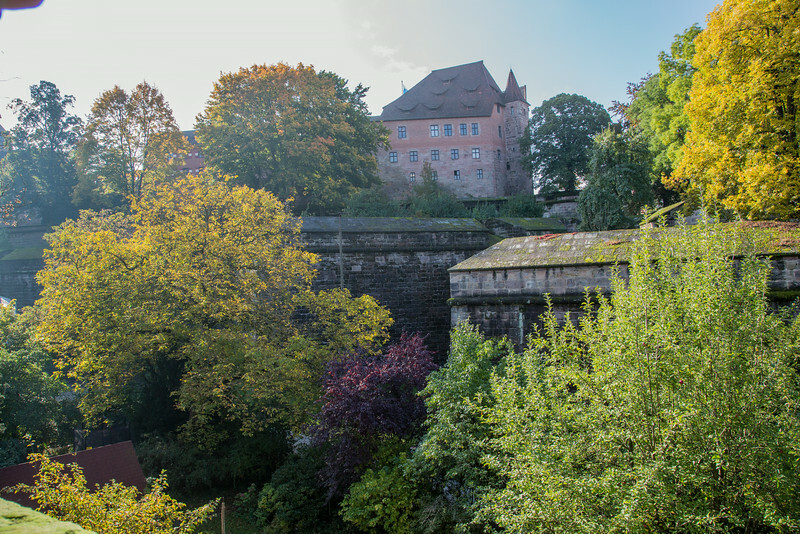 Part of the massive city wall in Nuremberg. 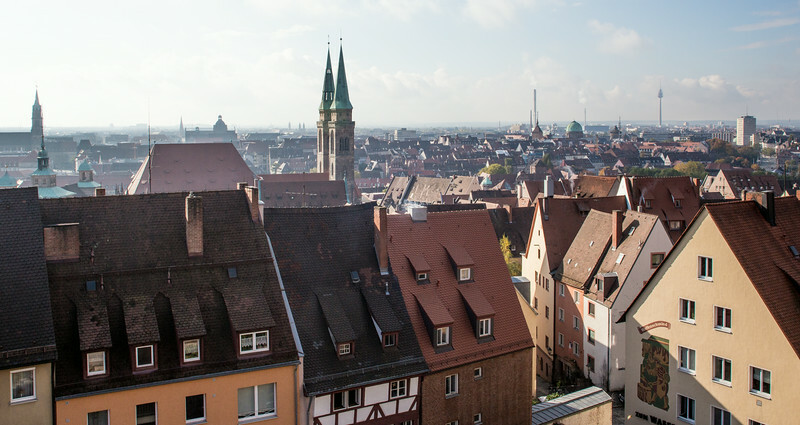 The city of Nuremberg, as seen from the Nuremberg Castle. 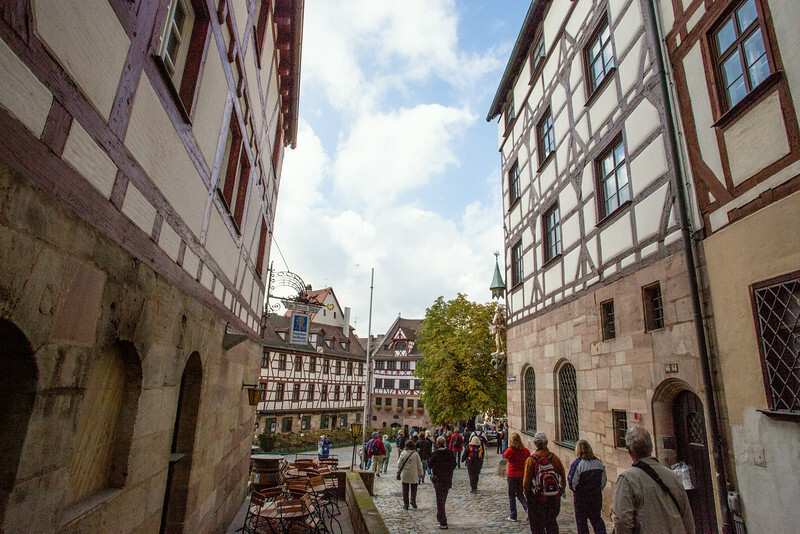 A narrow walkway leads from the castle to a square famous as being the residence of artist Albrecht Dürer from 1509 until 1528. 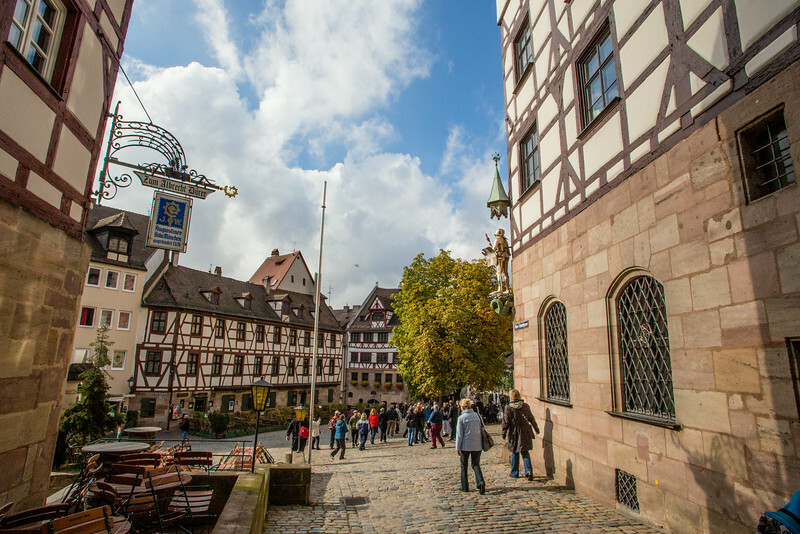 On the left is a tavern named in Dürer's honor. 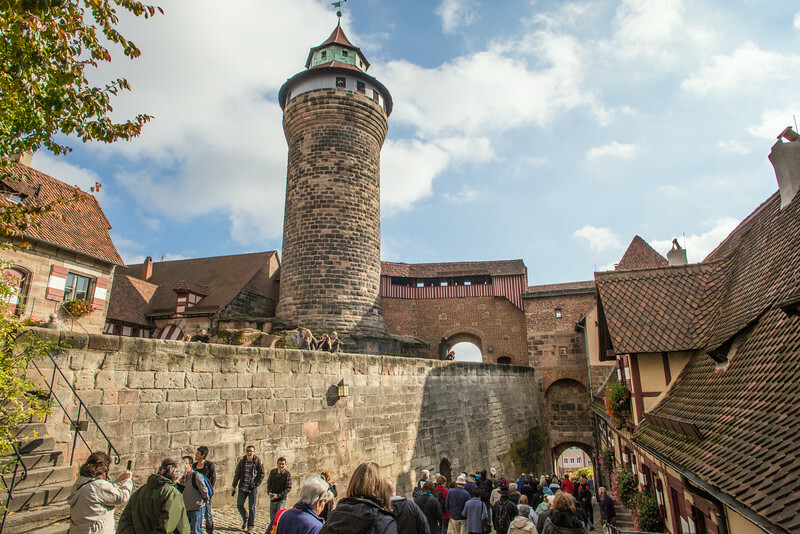 A narrow walkway leads from the castle to a square famous as being the residence of artist Albrecht Dürer from 1509 until 1528. 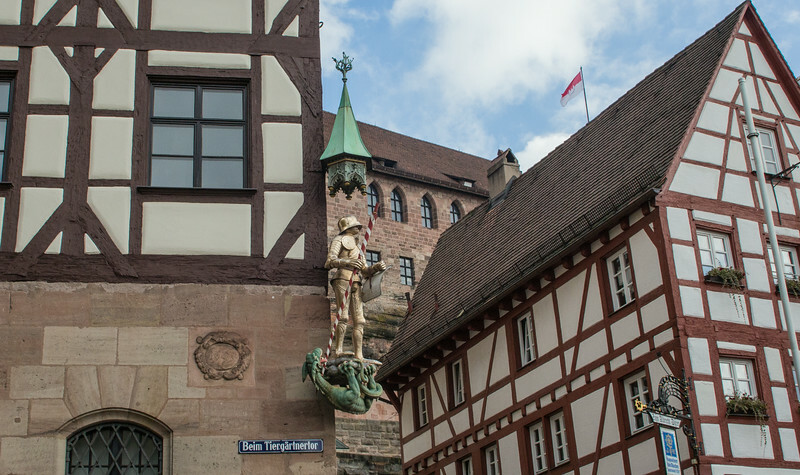 On the left is a tavern named in Dürer's honor. The sign states that they serve beer from a brewery that was founded in 1328. 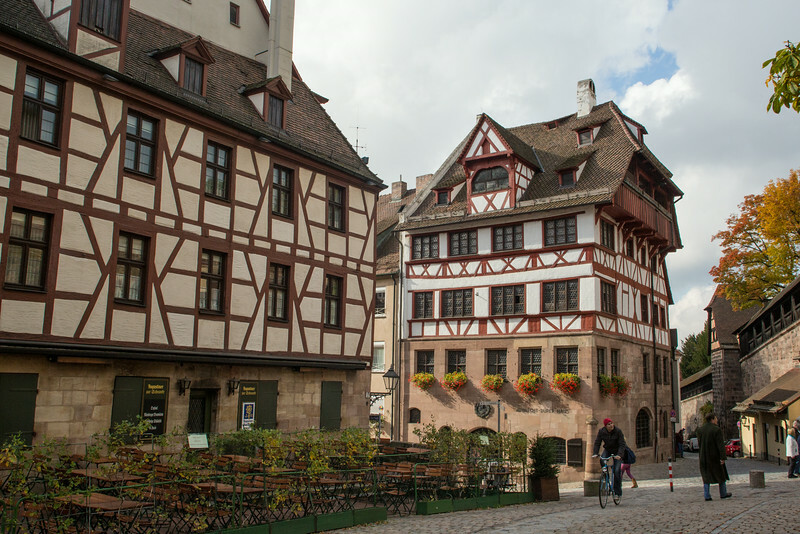 The house on the right was the residence of famed artist Albrecht Dürer, who lived there from 1509 to 1528. 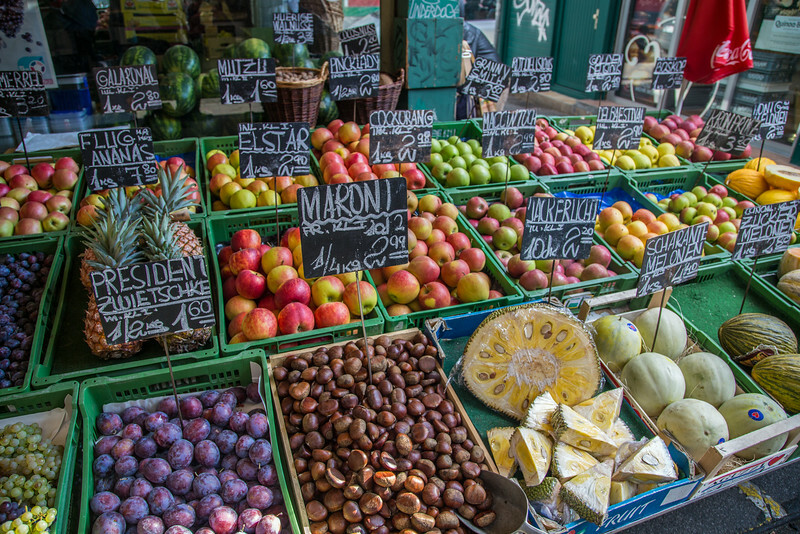 It is now a city museum. Decoration on a building at the Tiergärtnertorplatz near the Albrecht Dürer House in Nuremberg. An interesting second story addition to an historic Gothic parsonage, which houses the vicar of the adjoining Church of St. Sebald. 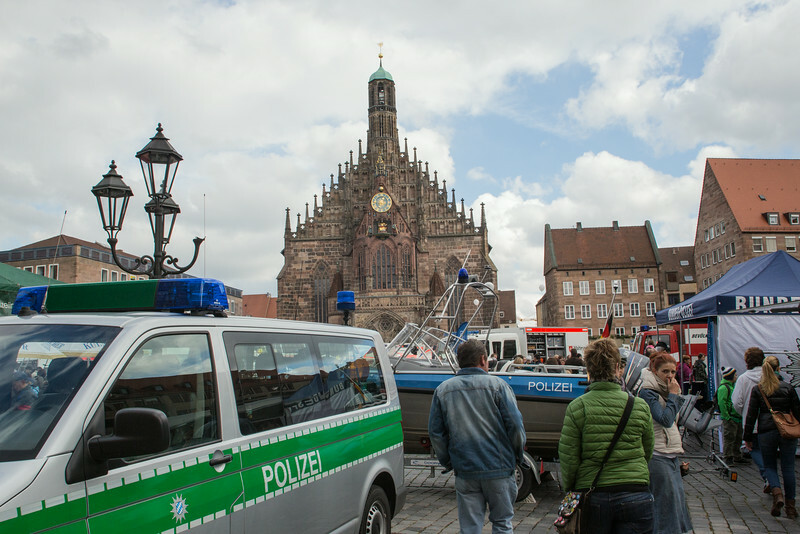 Police, fire, ambulances and more were on display in the town square. 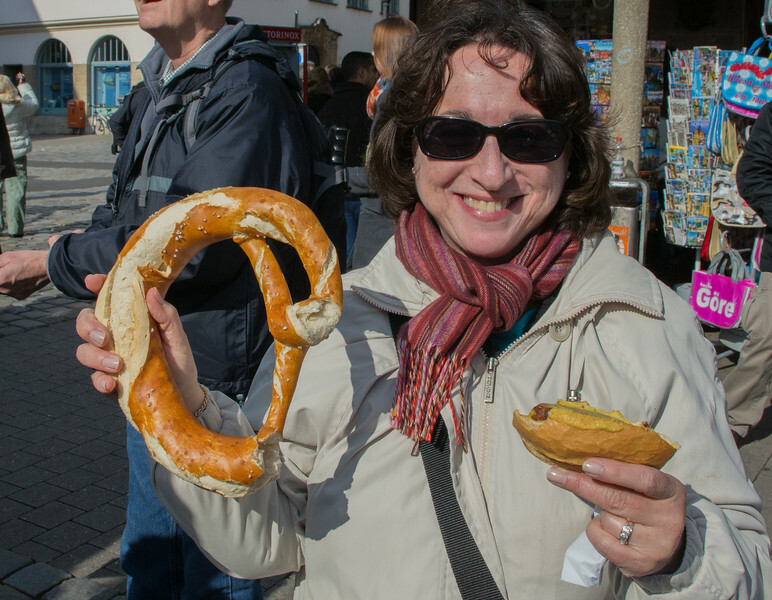 You can buy pretzels as big as your head in the Nuremberg town square. 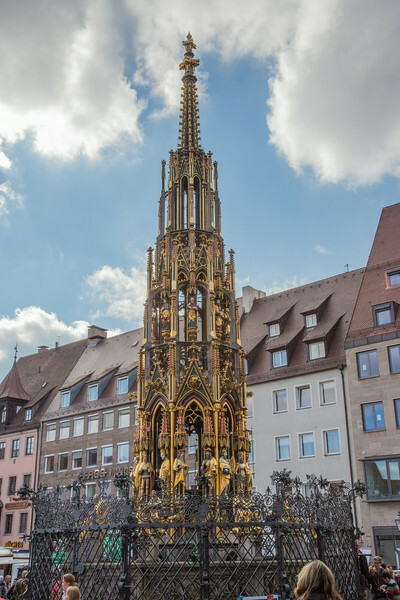 Built in the late 14th century, the fountain stands 62 feet high and resembles a church spire as it narrows from three stages to the finial. 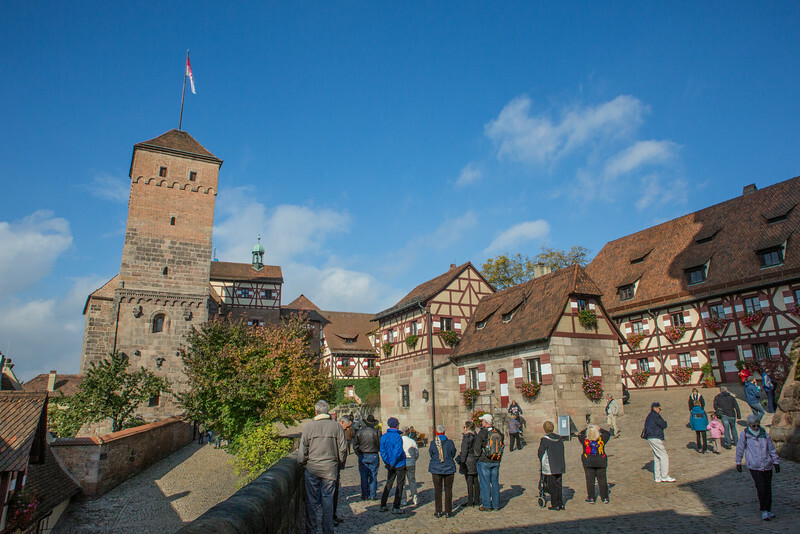 Forty stone figures represent the world-view of the Holy Roman Empire. The railing includes a brass ring which originally served as a water spigot.